Plans made public in August that would have seen Puerto Rico transfer inmates to Arizona have been scrapped, but the island’s Department of Corrections and Rehabilitation (DCR) is still looking to transfer over a thousand people from its prison population to the mainland. In March, DCR issued a Request for Proposal for its Out of State Program, which is a transfer plan inmates can opt into. 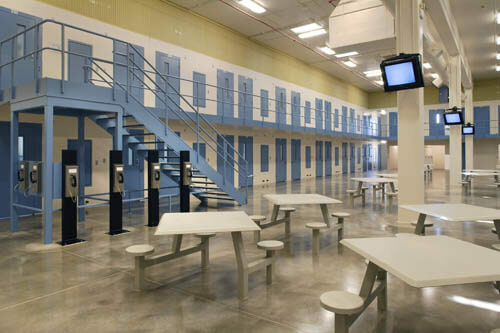 The contract was awarded to CoreCivic, the Nashville-based private prison operator with seven facilities in Arizona, and could cost Puerto Rico $125 million for five years, the Centro de Periodismo Investigativo reported. While plans initially placed the Puerto Rican inmates at CoreCivic’s La Palma Correctional Center in Eloy, those inmates are now being sent to the company’s Tallahatchie jail in Mississippi, said DCR spokesman Hector Perez. Perez said last week that orientation sessions were held at all of the 29 correctional institutions in Puerto Rico, and almost 1,200 inmates attended them. Of the 10 jails where the DCR has held follow-up sessions, 490 have signed up for the program, Perez said. The DCR hopes to enroll 1,000 inmates, he said. Selling points include an opportunity to learn English and pick up a trade, like construction. Various groups on the island are opposing the program, counter the notion that it’s voluntary and are critical of CoreCivic’s record of lawsuits for improper care and treatment of prisoners. And it isn’t clear if the Financial Oversight and Management Board of Puerto Rico created by Congress will approve funding for it, said Iris Rosario, a public defender with the Legal Aid Society. “It’s a displacement of our population,” Rosario said. Moving the inmates away from their families and communities stunts their chances of rehabilitation, she said. The Centro de Periodismo Investigativo also reported last week that Puerto Rico has a history of failed partnerships with CoreCivic.